* Chanel Egoiste starts with an explosion of citrus and spicy wood. The citrus is hard to discern, as I think it’s a mix of neroli, bergamot, orange, and tangerine. * Egoiste is a bit mischievious, as it has different characters. Sometime it goes a little soapy on me, with the spicy wood fighting to keep it manly. Other times the top goes very sweet on me – where the citrus turns more gourmand, like candied/sugared fruits rather than crisp citrus. * Initial projection is quite strong. People around you will definitely smell it for the first hour or so. * The spicy wood is joined by a rose in mid-development. This is not a feminine rose with a capital R, yet a sweet, fruity one with a lot of depth – a three-dimensional rose. * The rose begins to fade and a creamy sandalwood comes in. A lovely vanilla joins the sandalwood for a base that lasts for hours. Summary: Egoiste is an absolute masterpiece that was based on a rare, hard-to-find Bas Noir. I have a small decant of Bois Noir and it’s absolutely decadent, with Egoiste being slightly more spicy. When it was originally released there was also a Cologne Concentree which I have recently tracked down. The CC is stronger, more intense, and has a more robust development. Imagine the EDT on steroids. The fragrance called Egoiste Platinum is completely unrelated, in my opinion, to Egoiste. They share one word of the name and the story I’ve read is that the Platinum version was created for the American market, who didn’t latch on to the spicy sweet Egoiste like the rest of the world. I wore Egoiste throughout college and mistakenly bought Platinum thinking it would be as good. Mistake- as it is a citrus/aquatic that is nearly the polar opposite to the spicy goodness that is the original Egoiste. The longevity of Egoiste is insane – sometimes longer than 24 hours. It really reacts to skin chemistry and works on me like a mood ring. I find that if I am stressed it gets a little more soapy while if I am more calm it goes more sweet. To me, Egoiste is a classic that every man needs to test and wear at least once in his life. 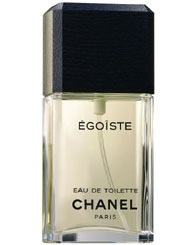 According to other sources, Egoiste was originally -called- Bas Noir in 1987, but is closely related to Bois des Iles, from Chanel’s Les Exclusifs line. There are a lot of similarities structurally, though I prefer Egoiste. I love that you describe this fragrance as ‘mischievous’, which it sounds like it certainly is! Complex fragrances are so wonderful when you find them, especially since most (mass market) fragrances seem to copy one another these days. Have you seen all the Ouds that have launched recently? Also, my husband is English, but has been living in American for a bit – I’d be interested to see if he prefers Egoiste or Egoiste Platinum to see if a cultural preference does exist! Mischievous is the best word I could find.. it really fits though, don’t it? One of the other blogs has a tag that says “Please no more oud.” I love oud fragrances but the first batch were all just “oud in your face.” The newer ones seem to be blending the oud in as a note supporting others in the development. My fave ouds so far are Christian Dior Leather Oud, Memo Shams (a subtle oud,) Creed Royal Oud (not really that Oud-y) and Kilian Rose Oud. I anxiously want to try FMK Cerulean which I hear is amazing. As for Platinum vs Original Egoiste – Platinum is much more mainstream focused, not to say its bad – just not as interesting to me as the original. Please let me know what your husband thinks of the two. One of my favorite masculines. The stealth potency of Égoïste Concentrèe almost overtook me the first time I tried this fragrance Because I sprayed with wreck less abandon and suffered tremendously for it. I was surrounded by fumes of rosewood, spices and rose for hours, so much so I had to wipe some of it off during the day. Lesson learned LOL Since then, I’ve used discretion in how much I apply and the result is much better. 2 sprays only and it is delightful to wear. The more I wear it, the more I’m beginning to see why people see this fragrance as so remarkable. The dry down is to die for. The creamy vanilla , sandalwood along with the musk is heavenly. The spicy rose/ carnation/cardamom/ cinnamon middle is a carefully designed beauty that intrigues the senses like a childhood fairytale, the likes of which has not been seen in today’s world of men’ perfumes. I have not tried the regular strength edt version, but I have good feeling about it. Let’s just say there’s a full bottle in my future. I can imagine it now sitting so elegantly on my dresser. You have done Égoïste a great service by putting it on the high pedestal it deserves. Great review! I guess you meant Bois noir, Dark woods, not Bas noir. Thanks for the correction. I’ve updated the review.